This Saturday night, Terence Crawford, considered one of the pound-for-pound best boxers in the world, will step back into the ring to put his WBO welterweight title on the line against challenger Amir Khan. 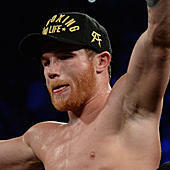 The welterweight title showdown will take place at Madison Square Garden in New York City, and will serve as the first venture for Top Rank Boxing on an ESPN pay-per-view platform. The main card festivities are slated to get started at 9 p.m. ET on ESPN PPV. Crawford (34-0, 25 KOs) will be making his first appearance in a ring in 2019. Last year, Crawford captured the WBO welterweight title with a convincing ninth-round TKO victory over Jeff Horn in June, and he followed that championship victory up in October with a final-round TKO win over Joseph Benavidez Jr. to retain. Khan (33-4, 20 KOs) enters this title challenge on a two-fight winning streak since he was decimated by Canelo Alvarez in May 2016, but as you'd expect, he's a pretty sizable underdog in this one as he faces one of the absolute best boxing has to offer today. Respect box? Subscribe to my podcast -- State of Combat with Brian Campbell -- where we take an in-depth look at the world of boxing each week, including our preview of this weekend's action with Crawford vs. Khan and Garcia vs. Granados. Below you can have a look at the odds for the main card via William Hill that is set to take place on Saturday at Madison Square Garden, with Crawford vs. Khan taking center stage to end the evening.